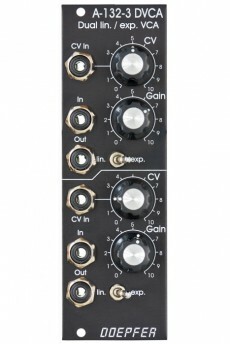 Module A-132-3 is composed of two identical voltage controlled amplifiers (VCA). 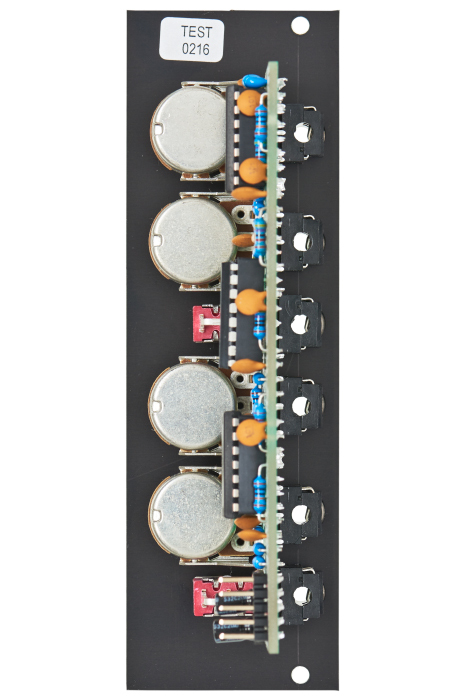 Each VCA has a manual gain control and a control voltage input with attenuator. The character of the control scale can be switched to linear or exponential. All inputs and outputs are DC coupled. 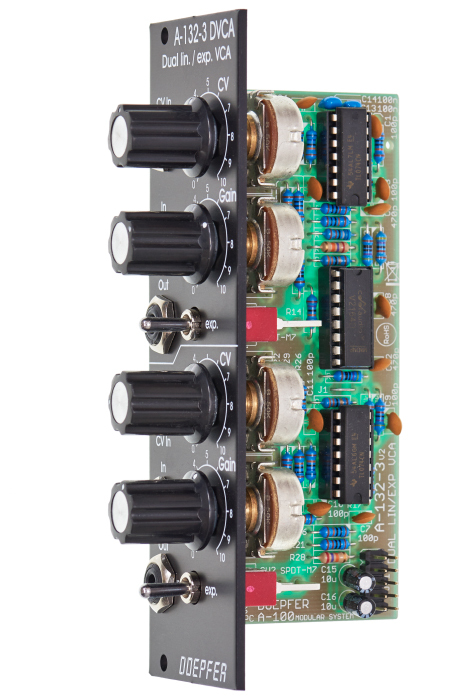 Consequently the VCAs can be used to process both audio and control voltages.